Since I have 22,107 songs on my laptop, I could relly rock! I can’t begin to tell you how this lap top would improve my life and my husbands career.He masters peoples Cds and does lots of musical stuff,thats his job,I don’t really understand it but that is what he does and he wants this laptop because he works on a computer he built 10 years ago out of many spare parts,it freezes up and sound quality is a joke with that thing!The Lenovo has great raving reviews and it would mean so much for my work as well. Thank you and I have my fingers crossed. If only my laptop would beep! It won’t even boot, now! How I’d love to hear its little speakers buzz! Better audio on my PC would improve life because then all those great 80’s MP3s would sound like I was back in high school hearing them for the first time. Better audio on my pc would enhance the enjoyment of streaming movies..
I’m a subscriber! I think my speakers are starting to go along with everything else on my laptop. It would be great to have a nice clear sound when watching videos online. Thank you!! this would help so much in my schooling. How do I put this? Let’s see, I am a subscriber, let’s get that out of the way to begin with. Now, better audio, are you trying to tell me there is sound on the Internet, what I get is basically rocks in a tin can. How could it possibly get any better?!!! The left speaker on my laptop died a couple years ago, so better audio would make music and movies sound a lot better. I feel like I’m not experiencing the music and movies like they are meant to be experienced. Ƹ̵̡Ӝ̵̨̄Ʒ - I’m a bit of an amateur DJ and have a great ear for mixing music, this would be an avid playlister’s dream! Ƹ̵̡Ӝ̵̨̄Ʒ - I’m considering trying out this whole vlogging thing, and previewing the playback with more realistic sounds before I hit the ‘publish’ button will let me know if my noisy downstairs neighbors loud radio ends up in my Vlog, or my dog is barking too loud, or if the delivery truck horn drowns me out etc. I signed up for your email. This audio laptop would be great for BTS. My daughter is vision impaired and so using a computer / laptop is difficult for her. This would be a fantastic tool - better audio = better learning! Better audio would let me hear my music and movie downloads better. Better audio makes listening experience more memorable. A new laptop with Dolby sound sounds great to me. Enter me into this contest. I recently had to send my VIAO out to replace the CD/DVD drive. I had very limited access on the old slow desktop but a second laptop to use as back up and to share with others is a must. Better audio on my PC improve my life by enhancing the audio that’s already in place. Watching movies and listening to the online radio would definitely be more enjoyable to listen to. As a music educator, better audio on my PC would definitely improve the quality of instruction for my students. Dolby is well known for excellent sound reproduction. Better audio on my laptop would mean that I would have no using skype to have conversations and meetings (plus I’d enjoy playing online games more). For my son (who would borrow my laptop), gaming would be much sweeter with better sound. For me, listening to music while I work would be improved greatly. I listen to streaming audio rather than live radio and the majority of base PC speakers sound tinny and light. Good audio quality makes for a much better listening experience. I listen to music at work while doing homework, this would improve the experience. Oh to have Dolby instead of what I do have which is horrid would be such a blessing. I’m pretty deaf, so it wouldn’t help me. But my husband would love having better sound—he listens to a lot of music on the computer. Better audio would improve my life because all I have to listen to is my current laptop speakers which sound awful. At the end of my busy stressful days I would love to be able to turn on some good sounding music and just relax and unwind. Ah, the realism. This would be a vast improvement over the speakers I have now. I listen to music on my computer all day. This would make it even more enjoyable. I subscribed and I have a pair of audio speakers hooked up to my desktop that are ovwer 12 years old. New audio would be unbelievable. better audio=better hulu/netflix viewing experience! I’ve been getting into sound editing, and having better sound would allow me to better hear the differences in an audio file. It would make watching movies and other video more enjoyable. I’m a subscriber and the improved audio would benefit me as I’m just starting to use Skype to communicate with my husband and that would make it so much better. Thank you! I could watch more movies and that would be great. Thanks. Audio is a big part of my life it brings me joy, gives me energy and helps me unwind. Having better audio would just amplify these things. I could really enjoy my music on my computer while working. I’m a musician on the go and having a portable notebook capable of playing back quality recordings of my projects would be something I have never experienced. Being able to record anywhere, anytime and not having to sacrifice quality would be priceless! I am about to move to the Dominican Republic to teach English in the rural province of Monte Cristi. If I had the Lenovo IdeaPad as an educational tool in the classroom, the possibilities of what I could introduce my students to are endless. 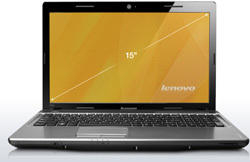 From music to videos to communicating with people all around the world, the Lenovo IdeaPad would allow me to give them exposure to things they otherwise may never experience. I use my computer for everything from phones to videos to audio emails tied to my magic jack phone. Having a proper speaker system is essential on my computer because it is also my home theater system as well. My computer is the center of all my activity and what a blessing it would be to better my Tv speakers because it would affect all areas of my working and social environment around my home Thanks for running the fine contest. Thanks for the giveaway, I would love to win this! Better audio for better music listening! now that i am older the eyes aren’t what they used to be. i would use the audio to help me with those scrambled verifying things that are hard to read. My husband is a full time IT student and having a laptop to use for school would improve his life greatly because the instructors are constantly giving the students helpful tools in class and he is unable to get the tools since he doesnt have a laptop!